Victoria Vidler has worked in politics, business and education. She is passionate about the education of girls as future leaders and is a teacher of social sciences at Kincoppal-Rose Bay in Sydney. Her particular interest is in the role technology and social media can play in enhancing student learning globally. Victoria has previously worked in ﬁnancial corporate communications for investment banks and the mining sector and as media adviser to the Hon. Julie Bishop MP, Deputy Leader of the Opposition when she was Federal Education Minister. Prior to working in Federal Politics Victoria was a Research Assistant in the European Parliament. 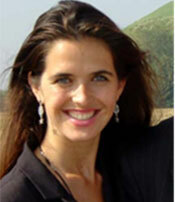 While working in Brussels she also worked as a researcher for New York Times bestselling author Richard Miniter. Raised in Perth, Western Australia, Victoria has studied in the United States, Australia and France. She has an interest in history, languages and international affairs and loves to spend her spare time surfing.